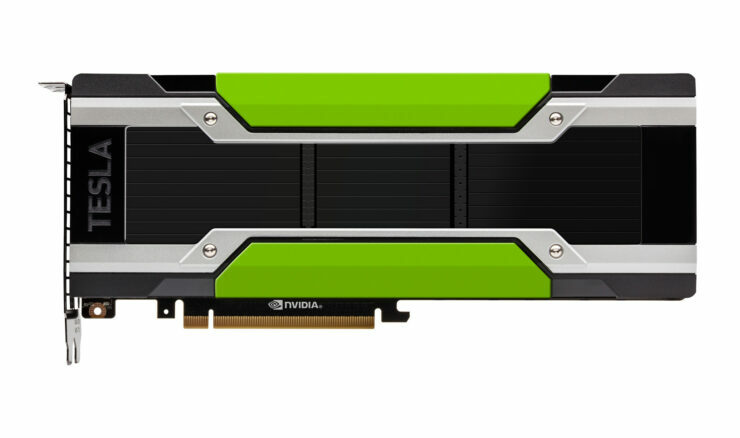 NVIDIA has launched their latest Tesla M10 graphics card which features four Maxwell based GPUs on a single PCB. 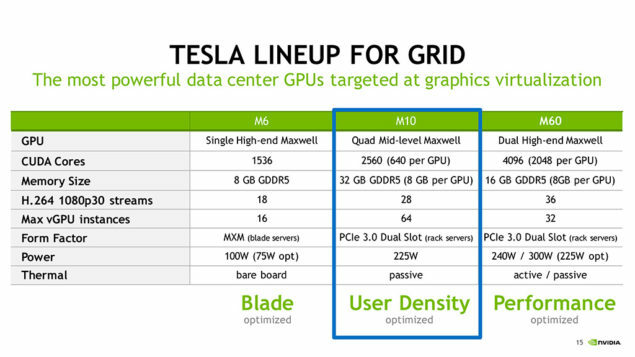 The Tesla M10 graphics card is aimed at Virtual PCs and Virtual application workloads with a design that’s user optimized meaning that it can support several virtual users on a single graphics card. 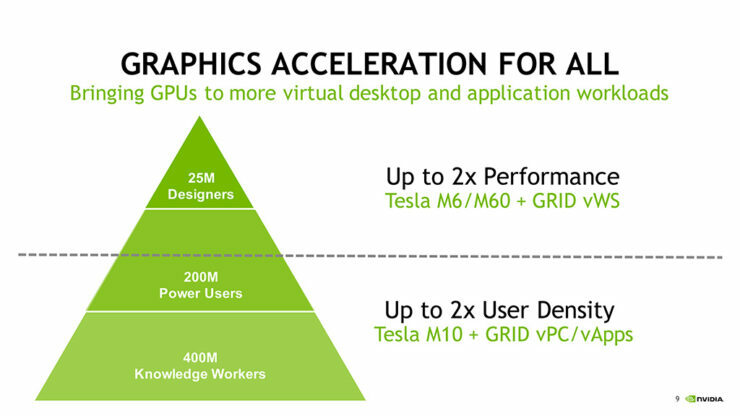 Remote enterprise market will benefit the most from this graphics card. Unlike the Tesla M60 which is the performance optimized solution or the Tesla M6 which is the blade optimized solution, the Tesla M10 will be NVDIA’s user density optimized solution which aims to provide the maximum no of virtual users on a single graphics card. 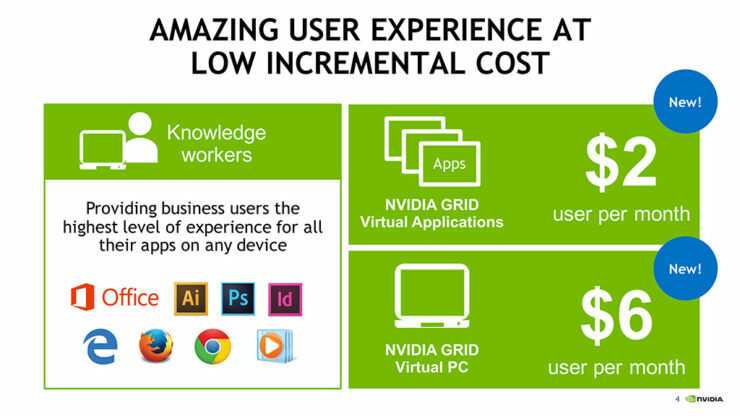 NVIDIA is also partnering with several virtualization companies to offer to offer remote desktop sessions to users at $2 per month and virtual PCs at $6 per month. 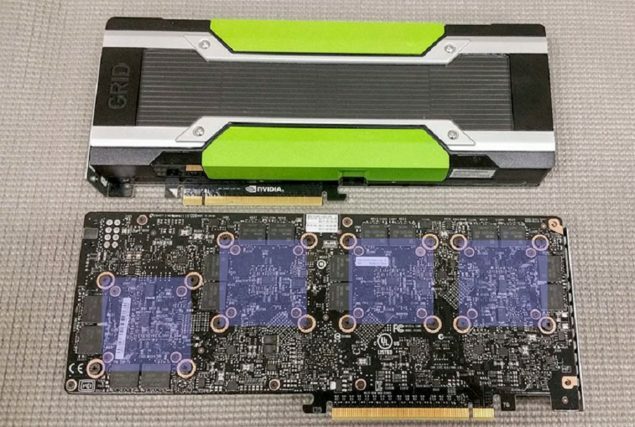 The NVIDIA Tesla M10 graphics card features a large PCB that deploys four Maxwell based GPUs. All four GPUs are based on NVIDIA’s efficient Maxwell architecture. The specific SKU used is part of GM107 family which was NVIDIA’s most efficient GPU of 2014. Each GPU features 640 CUDA cores and 8 GB of GDDR5 GPU. The graphics card features 2560 CUDA cores and 32 GB of GDDR5 memory on a single board. The entire GPU is passive cooled with a total of 225W TDP. This is provided through a single 8-Pin connector and is designed for dense rack servers. The GPU can support up to 64 Virtual GPU instances and 28 H.264 1080p 30 FPS streams. Each user can access 512 MB of VRAM with the entire GPU filled with vGPU instances. 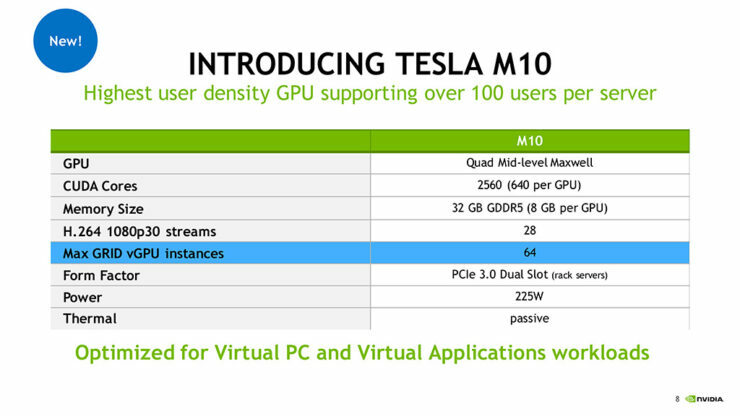 A Dual Tesla M10 configuration can support 124 vGPU instances. There is no word on the price of this graphics card but it is expected to cost a few thousand bucks. You can learn more about the other two Tesla cards, the Tesla M60 and Tesla M6 over here.